The majority of people can eat out without any worries, but when you have a multitude of food intolerances and Coeliac disease, eating out is quite a different thing! 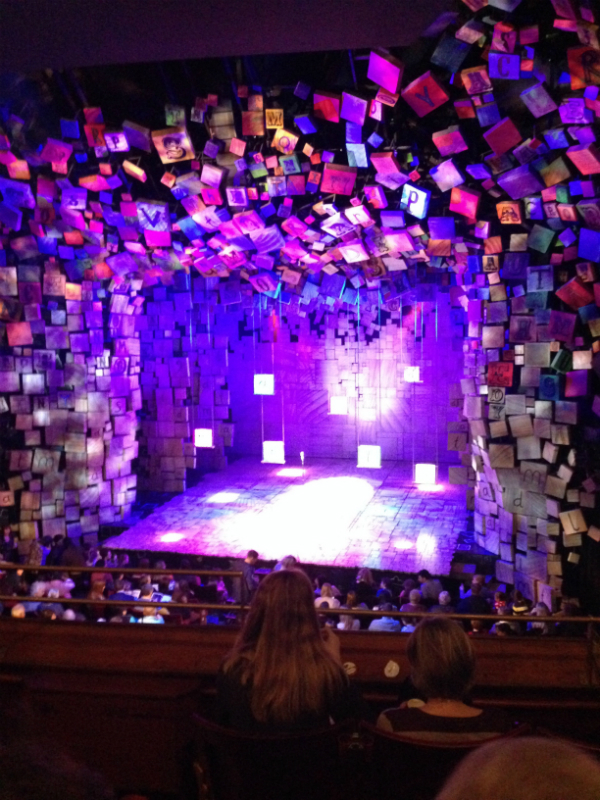 We were treating ourselves to a matinee in London which meant being in London for lunch. Twitter is a great source of information on free from and gluten free friendly restaurants and I had lots of good ideas. Hummus Bros being one of them, this will definitely be the next place to try as they can accommodate gluten free and other intolerances and dietary requirements. Honest Burger has been on my list of must tries for a while and after tweeting Tom@honestburgers and checking about whether onion or garlic were used in the burgers, I was happy to give it a go. Being intolerant to onion and garlic is hugely annoying as it is hidden in most meals. 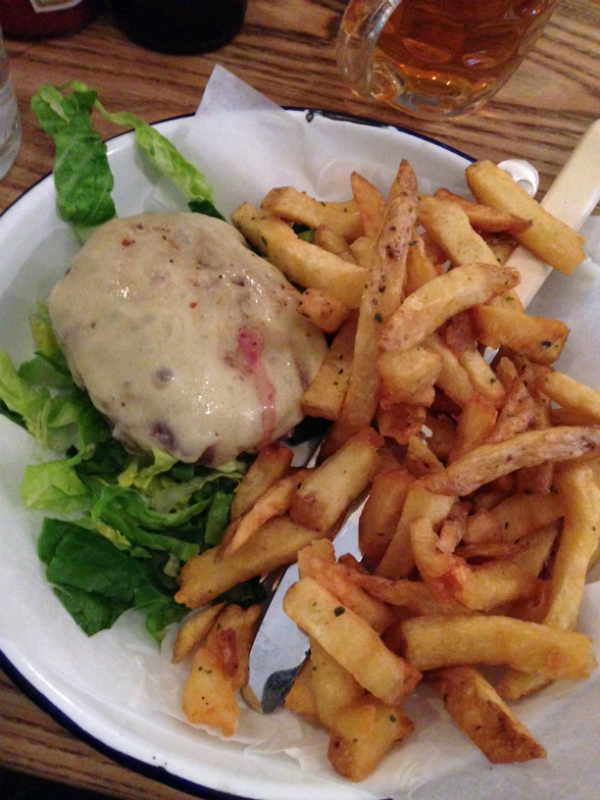 As we were in Seven dials we chose to go to Honest Burger in Soho 4a Meard street. A little restaurant in a quiet street with outside seating for the hardy. The waitress was very welcoming and found us a table for two, we were quickly given our drinks and had time to check over the menu and black board. I gave the waitress my card explaining all my food intolerances and highlighted the gluten intolerance. This card has become invaluable and also has my blog and twitter details on it. The Waitress was most helpful and I chose a plain burger with cheddar cheese on salad instead of a bun. Gluten free burgers are available at a £1 extra charge sadly I am yeast intolerant and avoiding all grains so I gave this a miss. My husband chose a honest burger with the delicious looking brioche style bun ( not jealous at all ) both came with an order of rosemary chips. Now, the burger! its probably no surprise to discover that it tasted incredible, no exaggeration . Good quality beef cooked well and not messed with, perfect! A good amount of salad and very delicious chips. Tough as it was, I only ate a few as I am trying to avoid white potatoes. They were some of the best I’ve tasted, crispy small and with a lovely flavour. My husband loved his burger and bun as was thrilled that Honest burger could now be added to our small ‘can eat‘ list of restaurants . 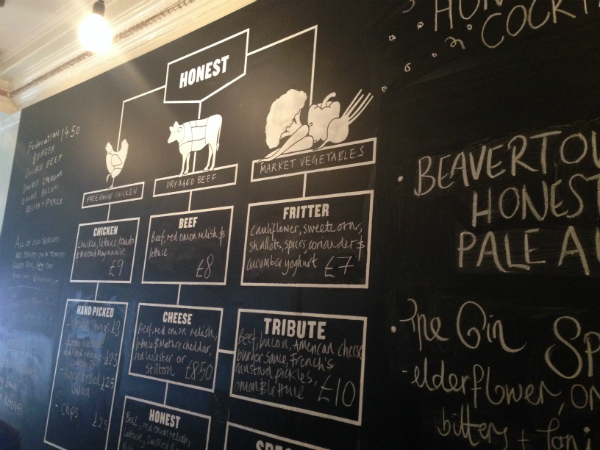 Honest burger is already a big favourite with my grown up boys now we will be able to eat there together. 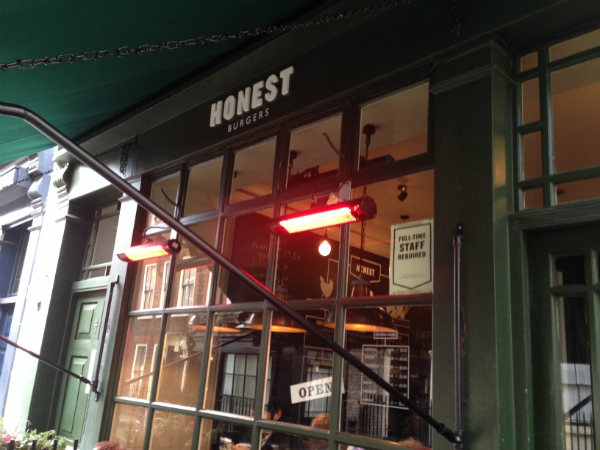 Thrilled to have a new safe restaurant to eat at, thank you Honest Burgers! I have returned to Honest Burger many times since writing this post and always had a delicious safe meal.